With Christmas less than 10 weeks away, we are making our lists and checking them twice, trying to figure out whether we’ve been naughty or nice! While online shopping may be simple, efficient and altogether more convenient, the multi-tab browsing is yet to steal our hearts completely. There’s something irreplaceable about the ceremony of a trip to the shops, made ever truer by the slew of high-concept, design-oriented retail spaces popping up around Sydney recently that are well worth a look . . . even if you’re ‘just browsing’. In celebration of the old-school way of an intimate, luxurious and personal shopping experience where you can feel the textures of fabrics first-hand when hung next to your skin, or inhale the scents of new leather or a forgotten fragrance, we have compiled a list of our go-to bricks and mortar stores that we’ll be present in this Christmas shopping season. Every time we step foot inside their walls we are momentarily transported to another world, and it’s a door we never want to close! Named after the Spanish word for ‘beach’ and suitably located in Sydney’s iconic Bondi, Lucy Folk’s store is a tropical oasis of candy hues and curvaceous edges. Tamsin Johnson, the designer behind Folk’s fairy floss HQ, made use of concrete to clad the store’s walls, imprinting the material with shapes that echo Folk’s jewellery designs. Matching custom joinery showcases Playa’s treasures and a concrete-poured, gloss epoxy blue floor in sea blue (complete with sand granules!) evokes the nearby Bondi Beach. 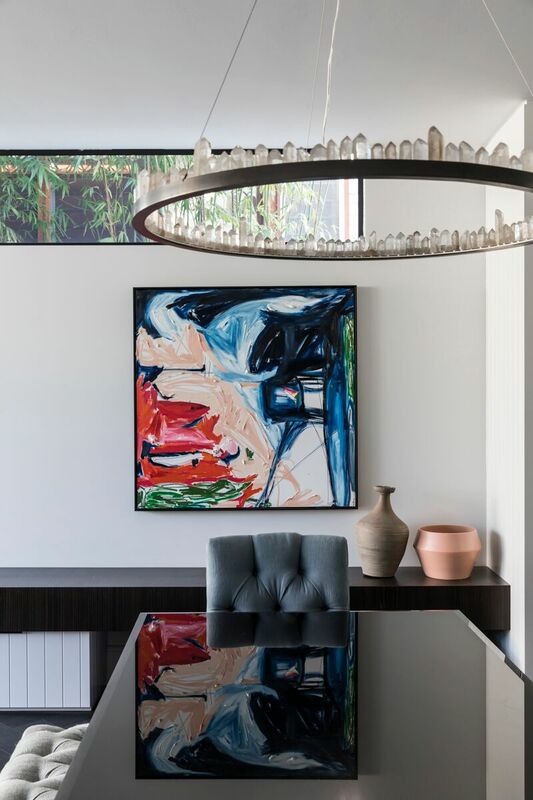 Borrowing colours from Sydney’s illustrious palette (think the deep blues of the harbour and the autumn shades of Paddington’s tree-lined streets), Iva Foschia of IF Architecture created a space for Jardan’s new flagship bold enough to tickle the interest of every passerby. One of the stores many high points is an oversized, angular staircase encrusted in marble and coated in powder pink. It sits under a gigantic skylight that drenches the entire three floors in light. Created in collaboration with local designer Henry Wilson, Aesop’s Balmain store achieves what every other Aesop space does so well - reflecting the area of the site and respecting the existing materials. Uncovered sandstone walls are balanced by crisp, industrial-style shelving in free-standing units, and the muted colour palette – consistent with other Aesop stores – emphasizes the raw surfaces while staying true to the natural light. Alice McCall’s Westfield Miranda store is everything you would expect from a brand that creates such whimsical and feminine designs. It features an array of gelato hues, which set the backdrop for the curved brass racks that undulate throughout the store. Ottomans in pistachio and mustard-gold are dotted throughout, and brushed brass wall lights by Anna Charlesworth light up each of the dressing rooms. Colours, shapes and textures cleverly mimic the aesthetic of the brand, but each detail serves to frame the beautiful clothes. Doherty Design Studio are the brains behind the merging of 19th-century service and contemporary, experiential shopping apparent in Sydney’s Gewurzhaus Herb & Spice Merchant store. With its magical, Victorian feel, The Strand offers the perfect location, instantly transporting visitors to the old-world sensibility of a European retail experience. Food and design lovers alike will swoon for the traditional, hands-on spice store. We could not contain our excitement when it was announced that 2018 was the year DENFAIR was finally coming to Sydney! 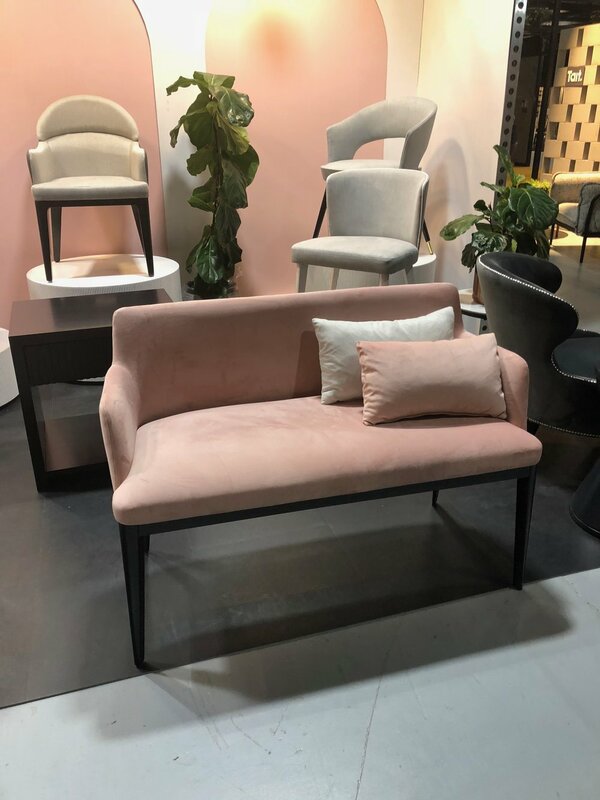 The long time Melbourne-based event has historically drawn some of the most innovative national and international designers. This year the annual design event was held over three days from 16 - 18 August. 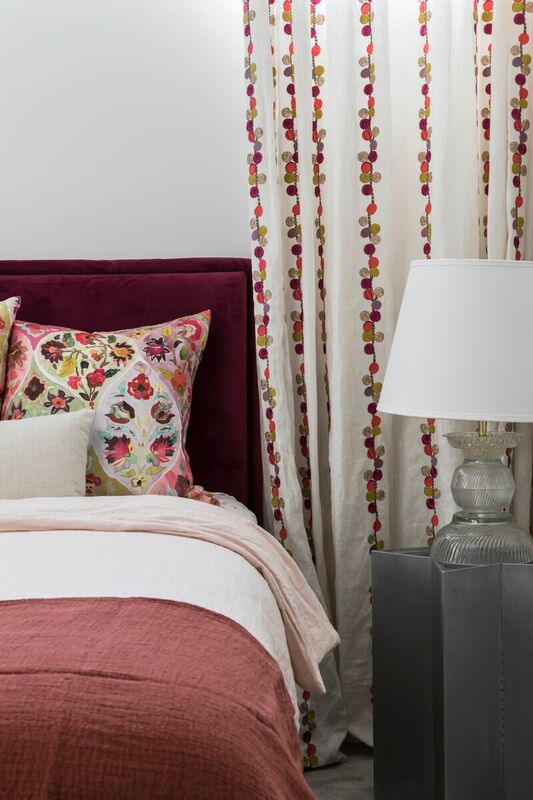 This year at the Hordern Pavilion at Moore Park, 50 exhibitors showcased their designs including hardware, furniture, art, objects and much more. On Friday we escaped the studio for a few hours to immerse ourselves in the design feast that was DENFAIR Sydney. Here are a few of our favourite things . . .
Savage Design showcased their expanding hardware range alongside some new furniture pieces. 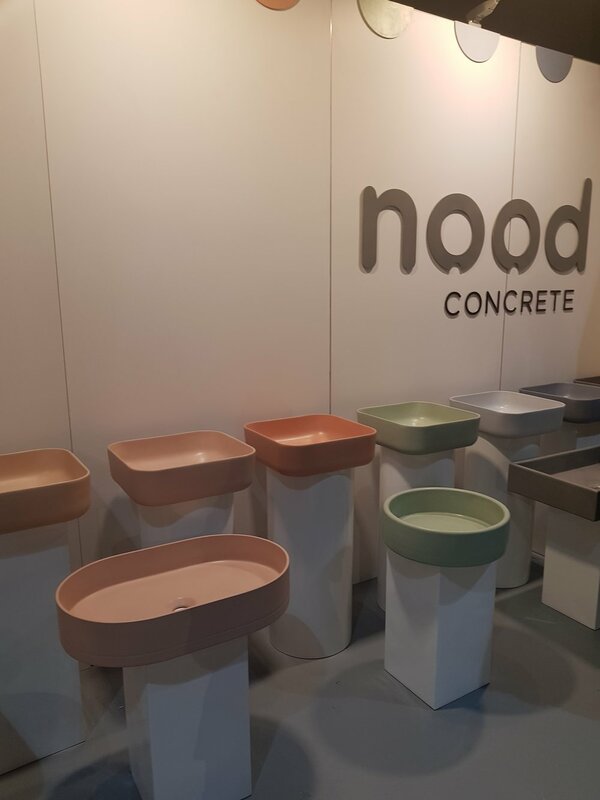 A rainbow of basins a Nood Concrete’s stand! One of our favourite Australian lighting Designers – Anaesthetic. We have added a new favourite supplier to our books! We just love the look of the hardware by Spark and Burnish. More covetable hardware from Spark and Burnish. The Lounge. A large-scale installation by Arthur Koutoulas for DENFAIR which attracted hundreds of weary design addicts. 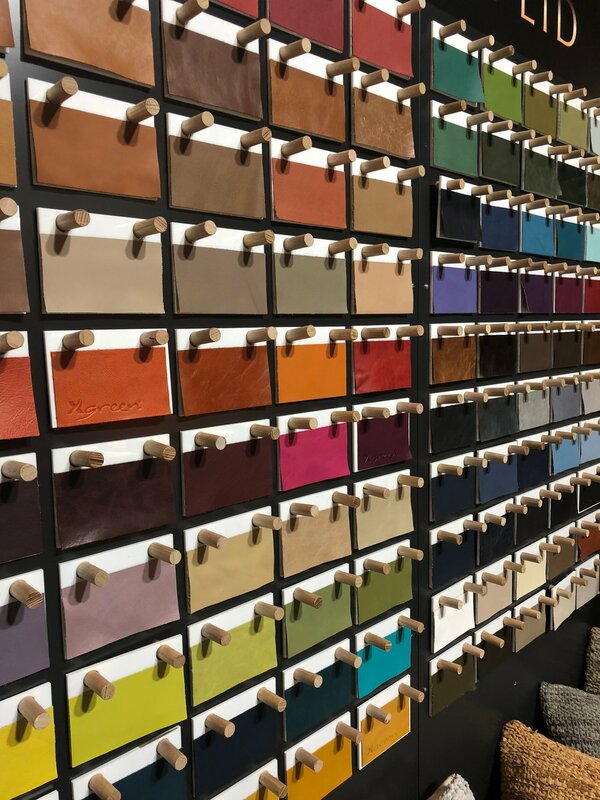 The beautiful leathers from NSW Leather Co – we just adore their metallic finishes!